Gudrun received her PhD (Dr. oec. HSG) from the University of St.Gallen in 1997. Her doctoral thesis received the Prize of Recognition from the Swiss Society of Organisation and Management (SGO) in 1998. 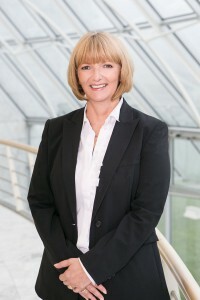 She is also Director for Diversity and Management Programmes at the Executive School of Management, Technology and Law at the University of St.Gallen and Director of the association “Diversity-Controlling” (www.diversity-controlling.org). In 2014 she was elected Adjunct Professor for Business Administration with a special emphasis on Diversity Management. As a senior lecturer she teaches Strategic Management, Leadership and Accounting at the University of St.Gallen and at various universities of applied sciences. She leads several nationwide projects to improve strategic diversity management in companies. She acts as a member of the Women’s Empowerment Principles Leadership Group (WEPs LG) of UN Women and UN Global Compact and she is also a member of the Principles for Responsible Management Education (PRME) Working Group on Gender Equality. She acts as an Expert Advisor for the Swiss Federal Office of Gender Equality for projects financially supported under the Gender Equality Law and is a Member of the Board and Finance Committee of OBVITA. ”The only thing that is certain is the certainty of change. Nothing ever remains the same.